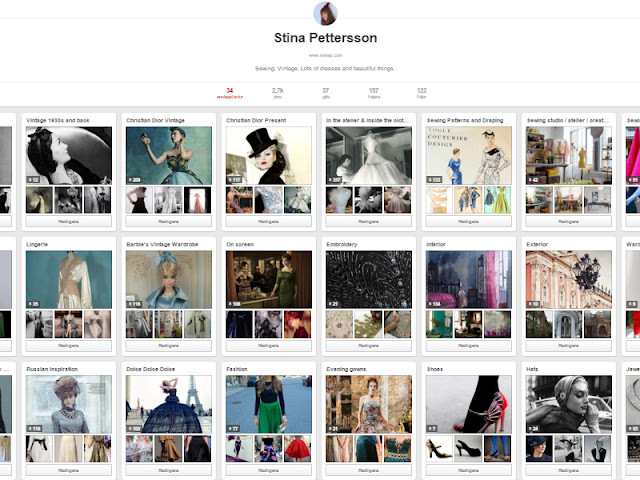 Stina P: Energy and inspiration - where do you find it? Energy and inspiration - where do you find it? I've been quite fortunate in both inspiration and energy these past weeks, but Friday afternoon I felt like I'd been run over by a truck. It's been a very intense week at work and I did put in too many hours, was tired and therefore wanted to eat all day to compensate and didn't have the energy for neither grocery shopping nor the extra visit to the gym - enough to shift the balance in the wrong direction. So I've spent my weekend to restore my balance; eating proper food (and filling up the supplies), move slowly, meet a friend, work out and fiddling with my Peacock Dress. And I know I need to make next week a bit calmer. Still, I do think I've found my way in general: eating good (healthy and tasty) food (not chocolate cakes and macaroons), exercising, sleeping well and working quite a lot - but not too much. Throw in some people I really like, and that's my recipe for energy and balance. Inspiration is something quite different. I need a constant input and a never ending flow of beautiful things before my eyes, and still I can't understand why I some days have absolutely no inspiration at all and the next so much I don't know what to do with it. But one thing is sure, I find a lot of my inspiration on Internet. Long before Pinterest, I've collected beautiful pictures. Both the ones I cut out from magazines, and the ones I've found online. I can't really say what to do with them - very few are actually used as inspiration for a project of some kind or even looked at again - but I do like to collect and save them. And of course there are the blogs. I use Feedly to keep my 100+ blogging list manageable - not as good looking as Bloglovin' but easier to read. The feed consists of some lifestyle blogs, some blogs about blogging, some about vintage, fashion and museums - and lots about sewing. 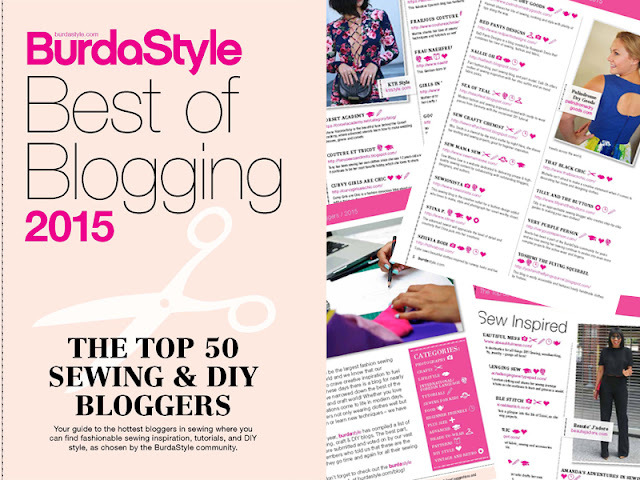 My favourite sewing blogs are the ones with great craftsmanship and attention to detail, and an aesthetics leaning towards vintage and classics (no surprise there I guess...) and I'm always keen to find new ones. BurdaStyle have released their new BurdaStyle Best of Blogging List. For some reason you have to sign up to get it; I don't quite understand why but I would say it's worth it. Not just because I'm in it (!! ), but because you'll find 50 great sewers presented with a short introduction and sorted in different categories. I was so pleased to find myself in the International - Advanced - DIY Style - Vintage and Retro-categories and with the following words: The advanced sewist will appreciate the level of detail and creativity that Stina puts into her creations. Oh, I do hope so! I have so many good things to share about inspiration - so let's dedicate the month of February to it! Hej! Det är inspirerande att läsa din blogg och nu såg jag att du ska åka till San Francisco! Jag åker också dit senare i vår och det skulle vara kul att höra om du kollat upp några intressanta tygaffärer? Jag besökte flera av de affärer du tipsade om i Paris när jag själv var där förra året och köpte några underbara tyger. Jag har också spanat in Britex! Ser fram emot blogginlägg när du varit i SF!